“I AM GOING TO CALL THE POLICE!” – My check-in welcome at the Marriott Resort Grand Cayman! Like most frequent flyers I spend many, many nights each year at hotels including Marriotts. For the past many years I have always tried, if at all possible, to stay at an SPG branded or affiliated hotel. They have always impressed me and respected my Platinum status that I held for years and that I went out of my way to maintain that elite level even if it cost me more than possibly staying at other hotels. Loyalty, for years anyway, mattered to me with my hotel choices. Then SPG got Marriotted and I expected the worst. So I made the sad choice to become a free agent when it came to hotels and content myself with mid-level status with a number of hotel chains including SPG and Marriott as a byproduct. I found it has worked and most properties still offer some perks to mid level elites. But Marriott is a very strange brand and has differing standards for different locations and that includes their resort properties. But let me tell you I sure was not expecting a possible upgrade to a jail cell for my family! Let me share with you what happened. My wife and I had plans to spend a week on St. Croix, but the hotel was decimated during last year’s hurricanes. Delta offered a free waiver and I decided to change my destination to Grand Cayman that I love and have visited for weeks at a time over the years. While many friends suggested I stay at the outstanding Westin on Seven Mile beach, I foolishly chose the Marriott Resort Grand Cayman. What a massive mistake that was! Q) Will there be any kind of continental breakfast extended as a Marriott Gold? A) No, no, no there is no breakfast for you. Q) OK, will there be any kind of credit toward the breakfast buffet as a Marriott Gold? A) No, no, no there will be no credit for you. Q) Humm… Is there any chance for an upgraded room as a Marriott Gold? A) No, no, no you booked on points! You get the courtyard garden view room you booked! Q) Will I at least get high speed internet as a Marriott Gold member? A) No, no, no! High speed internet is part of our resort fee! Q) I see there is a resort fee. 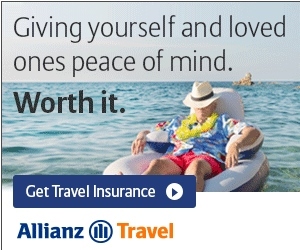 I would rather not pay that if I do not use the listed benefits. A) Let me check with my manager, hold on. I will cancel this card due to THIS Marriott stay! At this point the rep disappeared behind a door and left us waiting for a good 10 minutes at the check-in desk. The check-in rep had already taken my ID, my Chase Bank Marriott Rewards credit card and processed most of my info. What a warm welcome to the Marriott Resort Grand Cayman. He repeated this threat to my family, not once, but 3 times over the length of the conversation. Now it may be normal for this resort to intimate guests in this manner but in all my years of staying at hotels I have never had myself, or my family for that matter, threatened with possibly going to jail for documenting my check-in to a hotel (have you)? I was shocked and disturbed as anyone would be. This was not what I had in mind for my island vacation. I explained to the rep from the “loss prevention department”, along with the security guard, when asked what I was doing (other than checking in, that is) that I am a travel blogger and documenting my experience at the hotel. I was told I must advise them in advance before I do anything like this. I was told later on that he was formerly from the Ritz Carlton, Bahrain and that he felt that when people come in and video the hotel staff have no idea what their intentions are. OK, but Grand Cayman is not the middle east and I would suggest a simple question like “can I help you?” or, “why are you filming?” would have been a better choice (when at this point the hotel clearly had all my info already) rather than repeatedly threatening POLICE ACTION. At this point I was told to delete the video and I said I would be happy to comply and step by step showed the rep and the security guard that I was doing so. I was told that if I wanted to take other video I must contact him. As a side point, part of the hotel resort fee includes use of GoPro cameras (if available). I did not ask if all those folks also must check with him before they use these video cameras! Then the story gets even “better” if you will. A few days later the rep who threatened my family called, under the guise of apologizing to me, and to ask what they could do to make things better. Moments into that conversation he was accusing me of being at fault for his POLICE threats and that I in fact was responsible for slowing down the check-in of the couple behind us. I can tell you this: I hardly slept all week at the Marriott resort. I kept waking up with cold sweats and having nightmares of this rep showing up at our door with the police. In fact every single time, from now on, when I see the Marriott logo I will think of the possibility of ending up in a jail cell. I could not wait to depart this resort and never return. Would you pay $50CI per day for this? ← Delta’s BIGGER problem than ESAs i.e. Emotional Support Animals – MEGA carry-on bags! They didn’t waive the resort fee when booking with points?! @Drew – No. Will cover that in the next post. @Mike B – Nothing. Not one word. Nor from Chase Bank even as co-branded card for Marriott. I will say the threat to call the police was wrong…100%. But did you tell the person behind the desk that you were filming them? I would feel uncomfortable if a random guest was filming me. Unless they give their consent, I don’t think you have a right to film them, even in a public lobby. Some people just don’t want to have a social media/internet imprint. And honestly, it’s a bit creepy. Now, if you started the check-in process with “hi, I’m a travel journalist, do you mind if my wife films the check-in process?” i think you are good to go. But i think just filming this situation w/o consent is tacky. I do think the hotel could handle the situation 1000% better. Instead of a threatening response, the manage could come out and assess the situation. Here he’d see the reason you are filming is a simple one. He could then either allow the situation, or if he felt it out of place, ask you politely to stop filming. I don’t believe in the customer is always right mantra, but I don believe they deserve respect 100% of the time. Learning how to say no respectfully is something most travel businesses seem to have trouble with. They deserve to be destroyed on each and every online review site out there. Need to ensure that no one else makes the mistake of staying there. Yp u probably could have checked this ahead off time. Resorts have different policies/ amenities than the business hotels. Resort fees are normal. Internet is offered to elites at business properties. Oh, lastly, upgrades on points are rare. (Similar to some airlines) sometimes you get lucky, but don’t count on it. I generally can get a response from Marriott when I email them. They have helped with a couple of problems I have run into. I would certainly be asking for your points to be returned. Can you find anything in Cayman Island law that does not allow one to video in a public space? Most both parties agree? You may have legal grounds to pursue too. We weren’t there so can’t be certain, but I suspect it has a lot to do with “As I asked the rep question after question I would turn back to the camera and share the response”. This hotel does have mostly rave reviews on TripAdvisor. So I can see they can risk offending one travel blogger. Platinum here with a Marriott Visa that is anxious to see how they respond- There are too many other options out there to deal with a hotel group that allows for this type of treatment of guests. Happiness elsewhere is just a status match and credit card switch away. Very sorry to hear about your stressful vacation Rene. Yes, I’ve actually had the front desk of the Marriott Waikiki Beach threaten to call the police on me for asking for ibuprofen at 3am. Long story, but I understand. I’ll never go back to the Marriott Waikiki and I had walked away from Marriott over the incident (even after they comped 3 nights of my stay). It’s terrible and it’s hard not to take their threat seriously. Glad you documented and are reporting about it. A Marriott lobby is not public space. It’s private property, so the hotel would set the rules on filming. Shame on you for trying to check-in to a hotel. How dare you…? I’d suggest you write a TripAdvisor review, they are currently at a 4.5 and that’s not the way a 4.5 hotel should conduct themselves.. The hotel acted poorly, no excuse about it. I have to wonder though about your process of asking questions and then turning to repeat the answer to record on your partner’s phone. Why was it so important to have a video record of these questions and answers? They should have asked you to stop filming and not threatened to call the police. As our Delta pilots remind us, “we know you have a choice…” Let’s use it. Nothing gets attention like a loss in sales. What do you expect from a company that allows people to be tortured at their Ritz Carlton in Saudia Arabia. No matter how the front desk person or the security person felt about the recording issue…the first response should never be to threaten to call the police. There are just so many ways the hotel could have handled this better than they did. Well, never will go to that hotel. Any hotel that treats a guest as a criminal and then continues to harass the guest afterwards is downright deplorable. Thanks for the warning. I recently stayed at the Westin Grand Cayman as a SPG Platinum. Not impressed. At least they didn’t call the cops. Will not return. I agree with Shaun (Comment #7 above) and really could not have said anything better. I have stayed multiple times at that Marriott and I love it. Sure, its expensive and they dont waive resort fees, but where do they do? This is Cayman Islands, not Vegas where you can get by not paying for room upgades and so on. I am a Marriott Gold and I didnt get anything for my status. The first time I stayed on the Garden view room. The second time I upgraded the room and I think I paid an extra $100 for an ocean view. I think for these circumstances its better to ask for a PAID upgrade. I mean you are all the way to Cayman Island on vacation, might as well splurge a bit (specially since you paid with points which I also did). Yes, it stinks paying a resort fee as well, but its just part of the game. Trust me I hate resort fees, but sometimes you just have to pay them. However, the “calling the police” issue is definitively horrendous and I feel bad, definitively should have asked for a room upgrade and free resort credit at least. What a horrible experience. Let us know how Marriott responds. @Matthew – Thanks! I will be sure to do so if they respond. So far nothing. I have stayed @ Hilton brands for years with few issues and upgrades out the kazoo. I decided last year to get the Chase Marriott Card and have stayed at several properties thus far with zero upgrades or perks. Hilton definitely treats you a lot better. @Rand – I have to say I have been VERY impressed with my Hilton stays so far this year. Hyatt as well for that matter. MR explicitly excludes breakfast for all elite members at anything classified as a resort. That includes decidedly non-resort properties that they pretend are resorts. And MR always collects resort fees on reward or certificate stays. Their response, however, was…interesting. Were you using Chase points or Marriott points? @Carl – Resort fees, destination fees, amenity fees, cleaning fee or surcharge or whatever name they make up = JUNK FEE – Period! @David – Marriott Reward points. I don’t really care who was wrong, but this was blown out of proportion. Sorry you had to go through that. I’m sorry but the only time you call the police is a real threat. Having a camera/video recorder/gopro pointed at you is not a threat. If you feel uncomfortable, ask them to put it away. But if they don’t, now they may up it one level call manager/supervisor/security etc. This a perfect example of poor training. Yikes. I spent last evening looking for hotels in London for my brother and I later this year. I’m also a Gold Elite member with Marriott. They will *not* make my short list for hotel choices. I can’t speak to the legality of filming in the Cayman Islands, but in the United States there is no expectation of privacy when in a public setting. By the same token, private property is private property. The Constitution and rights afforded under it don’t apply, meaning a private property owner can, in fact, restrict your free expression on their property. Regardless, I don’t understand why you videotaped the entire process. I think that while you probably have the legal right to do so in almost any Western country. i would not have stayed there for the week! !would have checked out…I have noticed that the caymanians tend to call the police quick on non cayman citizens..esp US!! $50 a day Resort Fee and they didn’t include “Visit to the Poor Farm?” Next they’ll be charging bed and bag fees. And if you want wall-to-floors? Well, sorry, but that’s gonna cost you too. Hotels are gouging us because they can. If we all shopped elsewhere for a place to stay they’d be forced to stop the nonsense. Not surprising that AirBnB is killing it. I can’t believe their response was so hostile and threatening. It was not appropriate for what you described. Perhaps there is a hidden agenda that makes them so afraid of video documentation. It just seems bizarre. I know that I’ll never book that Marriott; and if corporate doesn’t reach out to you quickly and fix this big time, I’ll be done Marriott. Sorry you had such an awful experience. Not surprised. As a 25 year + customer of Marriott, the service across most hotels just isn’t the same. The Ritz Carlton used to be best of the best, hit and miss based on hotel and prices are high compared to the best luxury hotels. Had a fantastic stay as a platinum on points in Jan of 2016. Did get a huge upgrade to the ocean view after paying only the garden view points price. Zero chance to get the resort fee waived but always worth the ask. Resort was fine (much cheaper than the Ritz) and breakfast was excellent. Complimentary sun tan lotion was a nice touch. Liked the Marriott resort but for the marginal increase in points the Ritz was exponentially better. Won’t be going back to the Marriott but not because of anything negative we experienced. you found the 1% or staff that isn’t up to par. Service consistenty a numbers game unfortunately and the same would be said for our beloved Delta. @Andrew – Agree on the bad luck if you will on the 1% as you will see in tomorrows post. The folks on the beach were ridiculously kind the entire stay. Nice you got an upgrade on an award stay. I never expect one but nice when / if it happens. Wow…Been a Marriott Platinum for years never had that bad of an experience. I get upgraded about 50% of time it also depends on type of property. I have noticed in the Caribbean many of the Marriott’s I think do not think live up to the brand. In Southeast Asia they over the top with hospitality and being a Platinum, you can get unbelievable upgrades. I would definitely let Marriott know of your experience. As for filming not sure of Grand Cayman or British Territory law but in the USA if you are a private individual filming in an area generally open to the public (even if on private property) you can film, but if you are filming for commercial purposes, news, documentary, posting on a commercial blog that promotes you that would probably fall under commercial purposes then you would probably have to have ask for permission or get some type of release to film. You got exactly what you were supposed to get at a resort. Blame the program not the property. Maybe they would be more welcome if elites weren’t always demanding special perks. You should also ask permission before filming strangers on private property. It’s common courtesy. That being said the police nonsense was over the top. Yeesh. that’s awful Rene. Sorry you had to deal with that. Wife, baby, and I are supposed to stay there in March. Honestly not sure what to do now. I would have posted bail for your wife but not so sure about you. Next time you should take your favorite Canadian lawyer with you. Sounds like both sides could have handled it much better… you asking for permission to film and obviously the security guard for starting off with threatening the police. I’ve been going to GC for 30+ years, and have traveled extensively, customers, laws and the like are different for country to country, you must be aware of that. It doesn’t condone how the guard approached you. This is good to know. Thanks for writing this. I literally was just about to book a trip to that Marriott but will go somewhere else now. Similar happened to me in Key West FL, no filming, but a very rude and aggressive check in clerk, who called the police on me and my family, as a platinum then, corporate did nothing about it.